When you leave your prescription with a pharmacy, you have a right to expect that it will be filled properly. However, every year, countless individuals suffer serious or fatal injuries due to pharmaceutical errors. Pharmacists have a responsibility to properly fill prescriptions and provide patients with their medications. When pharmacists and pharmacy staff members make errors with the handling of prescriptions, individuals suffer serious, or even fatal injuries. Pharmacies are often overwhelmed by the volume of prescriptions they must fill and too often make simple errors by rushing through necessary patient and drug details. Proper staffing, training, and procedures can prevent most prescription errors and help keep patients safe from injury. If a pharmaceutical or medication drug error has caused an injury or wrongful death to you or a loved one, contact the experienced Boston personal injury lawyers at Bellotti Law Group, P.C. today for a FREE consultation to discuss your options at 617-225-2100. 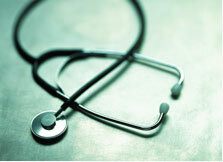 We have decades of experience successfully handling every type of malpractice case. Most of the time, pharmacists and other medical professionals are diligent and care for their patients properly. Unfortunately, occasionally, some pharmacists are overworked, careless, or irresponsible and make devastating errors. Individuals who receive the wrong medication or an incorrect dosage of medication may suffer an allergic reaction, elevated blood pressure, heart problems, and many other adverse consequences. Additionally, incorrectly filled prescription medication may result in a fatal injury or the development of a drug dependency. If a patient is provided with the wrong medication and the drug is a habit-forming prescription, the individual may be exposed to significant harm, including addition, withdrawal, and in extreme cases, death. In every medical malpractice case, which includes pharmacist errors, the victim must prove that the other party's negligence caused his or her injuries. Under Massachusetts medical malpractice law, victims are entitled to compensation for lost wages, medical expense reimbursement, and rehabilitation expenses. Victims are also entitled to compensation for emotional injuries, including pain and suffering, and loss of companionship. If you believe you or a family member suffered a serious or disabling injury through negligence on the part of a pharmacist, or pharmacy, contact the Boston personal injury attorneys at Bellotti Law Group, P.C. at 617-225-2100. Our experience with the investigation and presentation of medical malpractice claims throughout Massachusetts will help you obtain compensation.